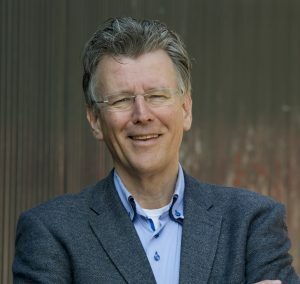 Cees Links is a pioneer of the wireless data industry. He is the founder and CEO of GreenPeak Technologies, a Smart Home, and IoT radio communications semi-conductor company, now part of Qorvo. Earlier in his career Cees worked for NCR, AT&T, and Lucent Technologies. Under his responsibility, the first wireless LANs were developed for PCs and notebooks, that ultimately became household Wi-Fi technology integrated into computers, smart phones and connected smart devices. He also pioneered the development of access points, home networking routers, and hotspot base-stations. He was involved in the establishment of the IEEE 802.11 standardisation committee and the Wi-Fi Alliance. He was also instrumental in establishing the IEEE 802.15 standardisation committee that become the basis for ZigBee sense and control networking. After Qorvo’s acquisition of GreenPeak in May 2016, Cees became the General Manager of the Wireless Connectivity business unit in Qorvo. He was recently recognized as Wi-Fi pioneer with the Golden Mousetrap Lifetime Achievement award.